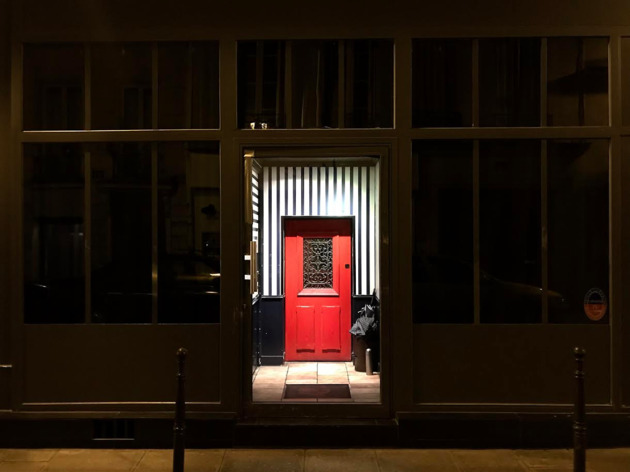 A classy, jazzy speakeasy-style joint in the Marais. New York’s speakeasy craze is catching on in the old continent. But whereas the Americans are seeking to emulate the crazy prohibition days, drawing people in with code words or hidden doors in hot-dog joints (look up the East Village’s Please Don’t Tell), the French prefer not to overcomplicate things and have ignored the ‘secret’ aspect. 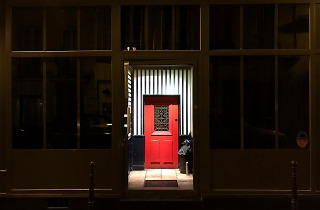 So it’s impossible to miss the Little Red Door’s… little red door, located on rue Charlot and lit up by slightly gaudy lights in Paris’s uber chic Marais quarter. It came 11th in the 2017 list of the World’s Best Bars and frankly, we can’t argue. Get comfortable in the intoxicating speakeasy atmosphere and browse the cocktail menu, which is themed around architectural trends. The Art Deco (€15) is a surprising blend of Bulleit Rye whiskey, Merlet cognac, fermented dates and violet tea, served in a diamond cut glass. The sparkling, deliciously tart Modernismo (€15) blends Beefeater gin, nutmeg, champagne, lemon and the herb, oxalis. Both are a huge success. While the barmen can barely string together two words of French, they’re absolutely lovely and impeccably professional as they create their carefully prepared cocktails. The cheapest may be €13, but they’re worth every gulp.